When Is South African Mothers Day? Don't miss out and forget! 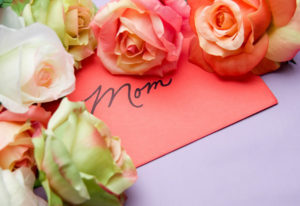 Home / Blog / When Is South African Mothers Day? When Is South African Mothers Day? South African Mothers Day is celebrated on the second Sunday in the month of May, but of course, you knew that. Yes yes, we know that South African Mothers Day is only next Sunday, but we thought we’d give you a reminder, so you can celebrate in good time. Did you know that it was originally a day for Christians to visit their ‘mother’ church? Of corse, times have changed since then as Mother’s Day is taken as an opportunity to thank not just mothers but also grandmothers and women who are the mother figures in our lives. And that’s where we come in! To help your impress your beloved. There are no hard and fast rules about what to offer your mother on this special day but plenty of pampering, gift giving and delicious biltong should do the trick! Of corse mother dearest will be expecting a gift, as well she should! We have plenty of your mum’s favourite goodies ready to impress, from biltong to boerewors, from Ouma Rusks to Homemade moist banana bread… We’ll hook you up with only the best for your mum this May. Don’t forget, next week Sunday is your deadline to put a smile on mummy’s face!